After a lingering, late-night dinner near my friend Rachael's Paris apartment, our waiter explained that he used the phrase "la madeleine de Proust" when a quotidian thing conjured an old memory. The madeleine moment was first felt by Marcel Proust's narrator early in the seven-volume novel, À la recherche du temps perdu (In Search of Lost Time), when a pastry steeped in tea opened sensory childhood nostalgia. The madeleine in journalist Clara Beaudoux's The Madeleine Project (New Vessel) is not a tea-soaked pastry but a woman--the late resident of the author's apartment. Beaudoux excavated the personal mementos in Madeleine's old storage space while live-tweeting her discoveries. 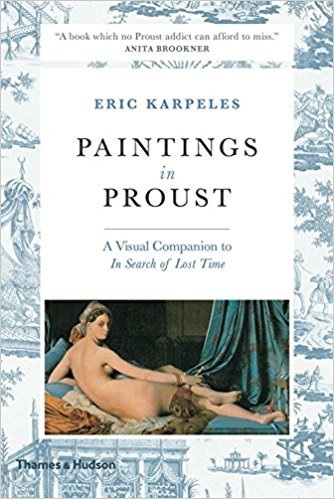 My hesitation about a printed collection of tweets was checked when I considered that Proust's dutiful chronicling of society's daily life and trends may have been social media's precursor. 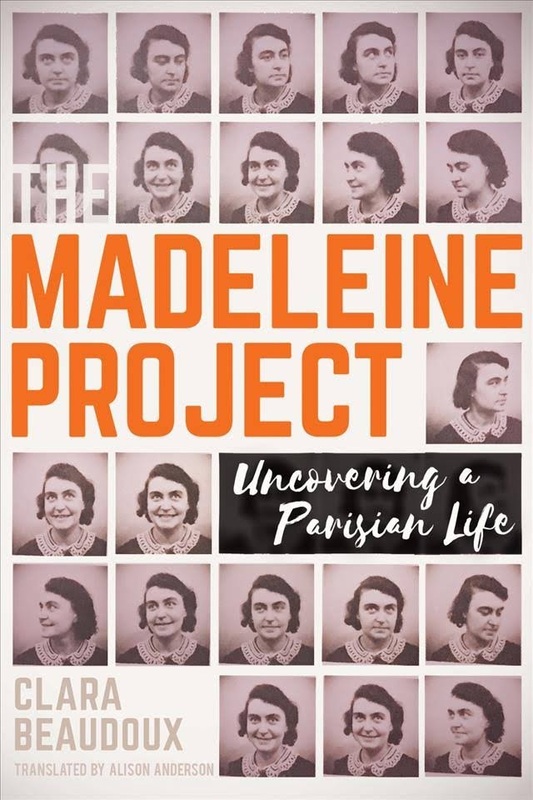 Beaudoux's exploration of Madeleine grows poignant as she moves from casual speculation to focused investigation and interviewing her neighbors, ultimately elevating the woman's humble life into something inexplicably familiar. HBO has released a five-minute animated clip called Game of Thrones Conquest & Rebellion: An Animated History of the Seven Kingdoms. The new British £10 note featuring novelist Jane Austen, has entered circulation, BBC reported. Gothamist bellied up to "the best bars in NYC where you can read in peace." Hans Christian Andersen "was a terrible houseguest, according to letters written by Charles Dickens," Bustle reported. "Literary home decor ideas from 8 famous writers' bedrooms," brought to you by HomeAdvisor. J.P. Donleavy, the American expatriate author who lived most of his life in Ireland, died on September 11 at age 91. After serving in the U.S. Navy during World War II, Donleavy moved to Ireland, where he attended Trinity College without earning a degree. 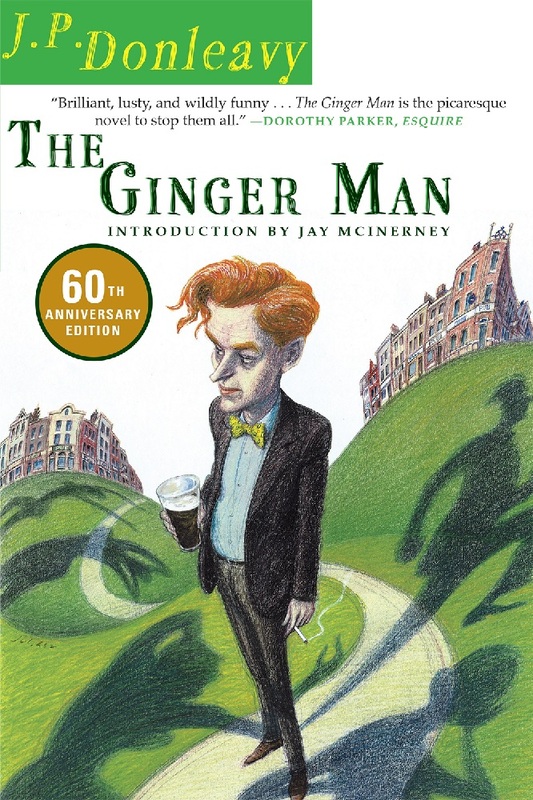 His best known novel is The Ginger Man (1955), the story of a student at Trinity College whose racy exploits caused the book to be banned for obscenity in Ireland and the United States. Donleavy suffered numerous rejections for The Ginger Man before his friend, Irish novelist and poet Brendan Behan, suggested he send the manuscript to Olympia Press in Paris. The Ginger Man was published under Olympia's Traveler's Companion erotica imprint. Despite its saucy source, The Ginger Man went on to sell 45 million copies and was named among the 100 best novels of the 20th-century by the Modern Library. Donleavy's other works include A Singular Man (1963), The Beastly Beatitudes of Balthazar B (1968), A Fairy Tale of New York (1973) and The Destinies of Darcy Dancer, Gentleman (1991), among other plays, novellas and nonfiction. 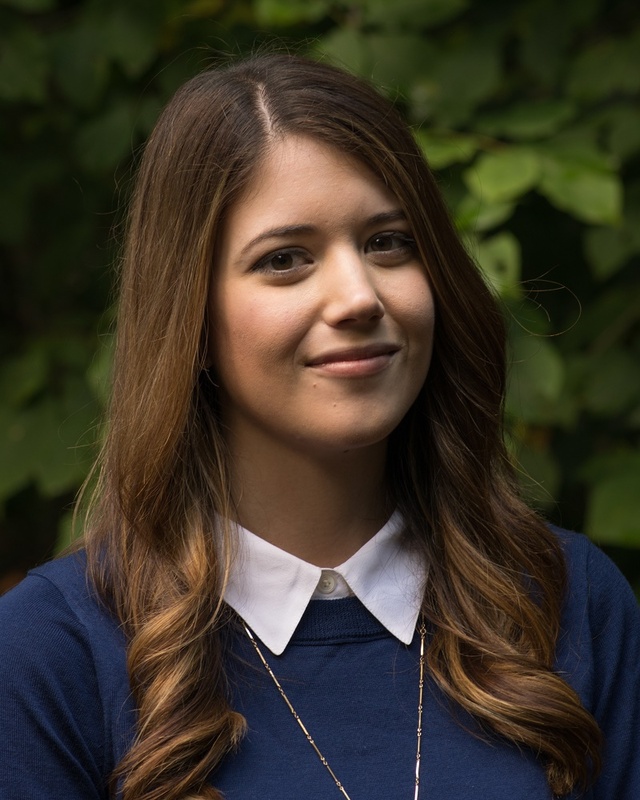 Alexandra Bracken is the author of the Darkest Minds and Passenger series, as well as a young reader adaptation of Star Wars: A New Hope: The Princess, The Scoundrel, and the Farm Boy. 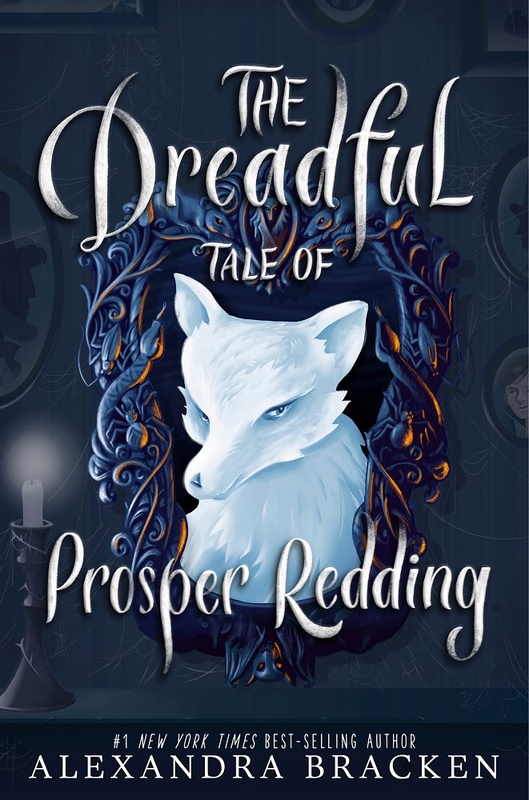 Her new book is The Dreadful Tale of Prosper Redding (Disney-Hyperion), about a boy who finds himself entangled with a centuries-old demon. Both the Darkest Minds and Passenger series are young adult--why did you want to write Prosper for a middle-grade audience? This is probably the cliché answer, but I've always wanted to write for this age group. I'm one of those writers who knew from an absurdly young age that I wanted to grow up and write books. Specifically, the exact kinds of funny, adventurous books I was reading in third grade: Roald Dahl, Avi and Karen Cushman. In some lightning strike of perfect kismet, third grade was the first time we had any sort of creative writing unit. So I discovered that I enjoyed writing stories at the same time I was falling in love with reading. Now I'm determined to write books that celebrate the awesomely enthusiastic preteen crowd, and hopefully one day create that moment of "I want to do this, too!" for another kid. Like The Darkest Minds, this book really is a product of me mashing together a bunch of things I love and always wanted to read about: history, witchcraft and magic, hauntings, monsters, dark humor and, of course, Halloween. My biggest inspirations were the Halloween-themed movies I grew up watching on the Disney Channel, like Halloweentown and Hocus Pocus. Those movies always had the right balance of spooky to humor. The other very loose inspiration for this book came from the idea of the Kennedy family curse. The aspect of that story that hooked me was the idea of an elite, famous family hiding a terribly dark secret--and doing anything in their vast power to protect it. The humor in the book is wonderful--how did you find a balance between the silly and the scary? I have a really dark sense of humor, so I was happy to let that flag fly in a big way in this book. In many ways, Alastor represents that nagging voice inside of our heads--the one that's constantly telling us that we're not good enough, that what we want is stupid, that we'll never achieve our dreams. I knew from the start that I'd need to use humor as a way to diffuse some of that tension. Thankfully, there's a lot of humor inherent with Alastor's fish out of water experience and the way he butts heads with Prosper, but I took extra care to make sure there were lighthearted beats in the scenes with the scarier monsters, and during Alastor's promises of revenge. I wanted the humor in this book to be like handing readers a candle they take up the story's dark staircase in order to hold back some of the darkness and keep it from becoming too frightening. What prompted you to write something set in Massachusetts? Do you have a favorite character in this book? Or a character you most liked writing? I secretly love writing Grandmonster! She's a pretty awful person, but she accepts that about herself and doesn't care for anyone else's opinions or approval, which makes her a fun character to write. I'm curious what you'll think of what's revealed about her in the sequel... (bwahaha). I'm going for the self-indulgent answer by saying that I love writing almost all of the characters in this series. Prosper and Nell are (obviously!) my two favorites, but Alastor is the one most likely to make me laugh. Oh, and though he was a very late addition to the story, I cannot get enough of writing Toad the changeling. I love him so much I constantly forget that he didn't show up until the first round of edits. And, finally, when will we get to see more of Prosper? Joan Ashby always knew she would become a writer. In a notebook titled How to Do It, the 13-year-old listed the necessary steps for success. "Ignore Eleanor when she tells me I need friends," she wrote, referring to her mother. "Avoid crushes and love. Do not entertain any offer of marriage. Never ever have children. Never allow anyone to get in my way." When Joan later meets Martin Manning, she finds a like-minded partner who "believes the same as I do--work is paramount, absolutely no children." Her two short story collections have received national acclaim and her first novel is near completion. However, two months after their wedding, Joan is stunned to discover she is pregnant, with Martin's joy "forcing her to find ways to live an unwanted life." The couple hires a nanny, but the time required for writing amid the all-encompassing nature of motherhood proves elusive. Soon Joan is pregnant again, but still determined to recover her deferred dreams by secretly writing an epic novel that takes years to complete. However, the moment she is finally ready to release her work, after nearly three decades away from the literary world, another devastating betrayal threatens everything. Discover: After a bestselling writer chooses motherhood over literary success, a bitter betrayal makes her question everyone she loves. Sociopathy, class structure, devotion and betrayal play roles in the twisted buildup to the titular soiree of Elizabeth Day's The Party. Three weeks post-gathering, one attendee remains in critical care and Martin Gilmour sits in a police station undergoing questioning. Martin, an art critic from a tough background, admittedly "finds it difficult to be normal." The one thing that comes naturally is loyalty to childhood friend Ben Fitzmaurice, Martin's polar opposite and one of Britain's most connected men. The night of Ben's 40th birthday/mansion-warming bash, Martin and his long-suffering wife, Lucy, argue about the lack of an invitation to stay at the Fitzmaurice estate. Although silently aggrieved, Martin defends his friend, as he has since they were in school together. Ben is his best mate, the Hutch to his Starsky, a man Martin dotes on to the extent that Ben's wife, Serena, dubs him "LS"--Ben's Little Shadow. Discover: The tension between two couples erupts in violence at an evening celebration, the culmination of their complex history as shared through a police interrogation. A year after the death of her young son, Emma Hazelton is still deep in her grief. She and her husband, Noah, were blindsided when their Joey was diagnosed in infancy with Canavan disease, a rare genetic disorder. Then, Emma's grandfather dies, too. As she helps her mother clean his house, Emma finds her great-grandparents' wedding picture, which unlocks Emma's curiosity about how she could have been a Canavan carrier. As far as she knows, she has no Jewish ancestors, and the disease primarily occurs when both parents have Ashkenazi Jewish heritage. As her life spirals out of control, Emma pushes Noah and her mother away. Avoiding thoughts about the future, she focuses solely on the past and the mystery of who her grandfather really was. Can she unlock the secrets of her ancestors before she irreversibly damages all her relationships? Discover: In this thoughtful novel, a grief-stricken woman seeks to discover more about herself, her family and the fatal genetic disease she carries. In Lisa Scottoline's fifth Rosato & DiNunzio novel, Exposed, a new case pushes the law firm partnership to its limits--and perhaps beyond. Mary DiNunzio comes from a closely knit South Philly community. She is surprised when her father and his friends come to her law firm with pastries and the intent to hire her to represent an old family friend from the neighborhood, Simon. He's had a rough few years: a single dad after losing his wife, he has a young daughter with cancer and recently lost his job. Mary agrees to represent Simon in a wrongful termination suit, but she discovers that her partner, Bennie Rosato, has represented the parent company for many years, creating a serious conflict of interest for the firm. Mary's loyalties to her family and friends go head-to-head against her loyalties to Bennie and their firm in a clash that could mean the end of the partnership. Gradually, as both partners dig further into the details from opposite sides, the simple case becomes something far more complex and sinister. Discover: The DiNunzio & Rosato law firm is torn by a conflict that pits partner against partner. Some crime novel protagonists drive an old beater, some drive a hot Mustang and some just take the subway. In Adam Abramowitz's debut, Bosstown, ponytailed bike messenger Zesty Myers seems to have a GPS map of Boston in his head as he weaves his Fat Chance through the chaotic streets of the city. One hungover morning, a Buick rams into him on Boylston, smashing his slick bike, knocking him unconscious and sending the contents of his torn delivery package into the street--a deluge of Grants and Benjamins. He slips out of the hospital ER before "they stick me in a hospital bed, wake me every couple hours to shine a light in my eyes, and then sic their bill collectors on me." When stubborn Zesty launches his own investigation into his "accident," it gets gnarly in a hurry. Abramowitz gives his young narrator hero the mouthy jive of an old school Southie hip to rare Boston rock bands and closed down clubs. Zesty's father is an aging hustler who once ran a back-room poker game for dirty cops, small-time pols and courthouse trolls. His mother was a hippie firebrand put away for a robbery and homicide in her radical youth. His brother, Zero, runs a semi-legit moving company and is on-call muscle. As Zesty and Zero try to sort out the story behind the money and their parents' shady pasts, Bosstown zips along like a good old-fashioned Beantown caper. --Bruce Jacobs, founding partner, Watermark Books & Cafe, Wichita, Kan. Discover: The hyped-up bike messenger Zesty Myers drives the compulsive narrative of Adam Abramowitz's streetwise debut Boston crime novel. Maggie Shen King's absorbing dystopian novel, An Excess Male, takes as its premise the dire future of men under China's one-child policy. King grew up in Taiwan and moved to Seattle when she was a teenager. She's studied in both Chinese and American schools, and her short stories, written in English, have appeared in journals like Ecotone and ZYZZYVA. An Excess Male, her first novel, demonstrates her great imagination and dexterity as a storyteller. Set in Beijing in the not-so-distant future, the story follows Wei-guo, a single and successful personal trainer who belongs to a surfeit of unmarried men caused by China's one-child policy and a cultural preference for males. Because the number of available women has declined dramatically, the state has set up a system under which women take up to three spouses based on their reproductive and financial viability. This reversal of patriarchal polygamy is fascinating to experience as Wei-guo tries his hardest to win the hand of the lovely May-ling, who already has two husbands. King elicits an entertaining degree of poetic justice in making men classifiable objects and pitting them against each other as they compete for a limited number of women. But she also cracks open the failed promises of communism and the evils of eugenics and social engineering. In King's China, for instance, those with autism and other disorders are called "Lost Boys" and are sterilized and institutionalized. Gay people are deemed "Willfully Sterile." Though they're incorporated and included in society, they're forced to register their identity and are prohibited from reproducing. That one of May-ling's husbands is closeted creates some of the book's most compelling and painful moments. Discover: Taiwanese American author Maggie Shen King crafts a terrifying brave new world around China's one-child policy. There are more than a dozen full-length biographies devoted to volatile two-time Oscar-winning actress Bette Davis (1908-1989), but none offer the up-close and personal view of Davis's final decade as Kathryn Sermak's engaging, outrageous and heartfelt memoir Miss D & Me. Davis hired the 23-year-old Sermak as her personal assistant in 1979, and immediately lived up to her difficult reputation. She started retraining Sermak on how to walk, talk, eat, dress and act in public. Davis even convinced her to change the spelling of her name from Catherine to Kathryn. On their first trip abroad, fire alarms forced the two to evacuate their hotel, but Davis insisted that Sermak run back in--not to save her family photos or passport, but her cigarettes. Discover: In this affectionate, outrageous and intimate portrait, Bette Davis's personal assistant recalls the Hollywood legend's final decade. Kurt Andersen's (True Believers) comprehensive history of American bunkum and balderdash, Fantasyland, is the work of a man with a particular picture to paint and a willingness to follow wherever the bizarre facts lead him. As he says, "I enjoy having my mind boggled." While it may have been sparked by the presidency of Donald Trump, Fantasyland puts the latest political pandemonium into the broader context of the origins of the United States--a country built from scratch "where all citizens were officially freer than ever before to invent and promote and believe anything. So Americans promptly began believing almost everything." A longlist of religious sects, out-there beliefs and fruitcake leaders kicks off Andersen's history, and he rolls out their appearances with both facts and farce decade after decade. When Fantasyland hits his own early years in the 1950s, however, Andersen's range and depth of examples of American delusions grows exponentially. The border between real and unreal disappears in the minds of those endlessly in "pursuit of happiness." Access to broadly disseminated media makes every tangent seem like a big deal, and Andersen mines the mother lode. After all his research, he concludes that "Donald Trump is a pure Fantasyland being, its apotheosis... a stupendous Exhibit A." If centuries of American hogwash are too frightening, Andersen attempts to leave us with some indication that the pendulum may soon swing back to sanity: "The good news, in other words, is that America may now be at peak Fantasyland. We can hope." Whether this forecast proves accurate or not, his look back is one of the most audacious and entertaining American histories on any bookshelf. --Bruce Jacobs, founding partner, Watermark Books & Cafe, Wichita, Kan. Discover: With wit and a large helping of research, novelist and satirist Kurt Andersen explores the background of America's penchant for believing the craziest of fantasies. Veil by Rafia Zakaria is a powerful meditation on the most visible emblem of the Islamic faith, its symbolic impact upon Muslims and non-Muslims and the controversy surrounding variations of the veil, including the headscarf, hijab and burqa. Zakaria, a journalist and author (The Upstairs Wife), informs readers that "there are no verses in the Holy Quran that specifically prescribe the veil for women," and yet Muslim women who choose not to veil are often judged harshly by other Muslims. Zakaria herself is subjected to "moral disciplining" by male colleagues when she attends an academic conference in Egypt without a headscarf. She talks of the "fissure created by the veil," quoting female scholars who reject the male-centric interpretations of religious doctrine that have led to the elevation of veiling as a requirement. If not compulsory within Islam, why do women wear the veil? Zakaria recounts her experience in a hospital waiting room in Pakistan. As an unveiled but modestly dressed woman, she was subjected to constant attention by men in the waiting room, as though her uncovered state entitled them to stare at her every movement. She envied a fully veiled woman in the same room who did as she pleased; talking loudly on the phone, she drew no attention at all. The veil grants anonymity, and anonymity is its own form of empowerment, transforming a public space like a waiting room into a place of privacy. Discover: This is a powerful meditation on the hidden life of an ordinary object: the veil. For almost five decades, Peter Wadhams has been studying the way the ice at both poles has been changing. What he reveals in A Farewell to Ice is a chilling view of how much influence humankind has had on the steady disappearance of polar ice and what that will mean for all living things on the planet as it continues to vanish. This highly scientific and heavily researched treatise leads readers through the ways in which polar ice forms and dissolves. Furthermore, it covers the earth's glaciation history and discusses the current theory that the steady rise in greenhouse gases will effectively knock the earth out of its normal cycle, creating a progressively warmer planet--one with no ice at the North Pole. Discover: A scientist examines the dire situation facing humans as the polar ice caps continue to melt. Ever since her beloved Aunt Magnolia was lost while on a photography expedition to Antarctica, Jane has floundered, "trapped in the wrong version of [her] life." She drops out of college, works part time in the campus bookstore and rents a bedroom the size of "a glorified closet." She becomes obsessed with making umbrellas, her art form of choice, "almost as if one perfect umbrella might make Aunt Magnolia come back." Before she left on her final trip, Aunt Magnolia inexplicably made Jane promise never to turn down an invitation to Tu Reviens, the family estate of Jane's old writing tutor, Kiran Thrash. Now, Kiran chances upon Jane in the bookstore and invites her to a gala at the mansion. Jane hasn't seen Kiran in almost a year, but she quits her job, packs her umbrellas and joins Kiran at Tu Reviens. Jane quickly finds that mysteries abound: strange comings and goings (including a man carrying a diaper bag and a gun), missing art, people who may or may not have known her aunt, and a basset hound who's preoccupied by a painting. Discover: When Jane accepts an invitation to her friend's mansion, she is confronted with five life-changing answers to a single question. It has been more than 20 years since the publication of then-First Lady Hillary Rodham Clinton's bestseller It Takes a Village. This picture book with the same title takes the focus of Clinton's original work--children--and, instead of highlighting how adults can make a world for children, depicts instead the individual agency of children and how "sometimes it takes a child to make a village." Marla Frazee's (The Farmer and the Clown) illustrations tell the story behind the text. The double-page spread with the words "We all have a place in the village, a job to do, and a lot to learn" depicts a large, diverse group of children and adults coming together under a leafless winter tree to sort through building materials. "Every child needs a champion. Or two. Or three. Or more" shows children working alongside the adults to haul materials, use tools and begin building what will eventually be a playground. "Every family needs help sometimes"--children and adults take breaks from working to share food and drink--"Kindness and caring and sharing matter." Discover: A diverse group of children and adults work together to build a playground for everyone.